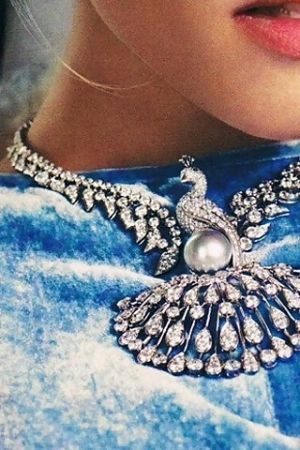 Cartier, platinum, diamond and pearl necklace… WOW! Mood of the Day: Wrap it up! In this picture on my right hand (left to right) I am wearing a black diamond snake ring by Zoe Chicco (I think..), my Italian ring I wore last time with the same Tiffany’s Wedding Band underneath. On my left hand I am wearing a vintage Zuni ring from New Mexico, a mother pearl band and the Tiffany’s Metro pink ring. 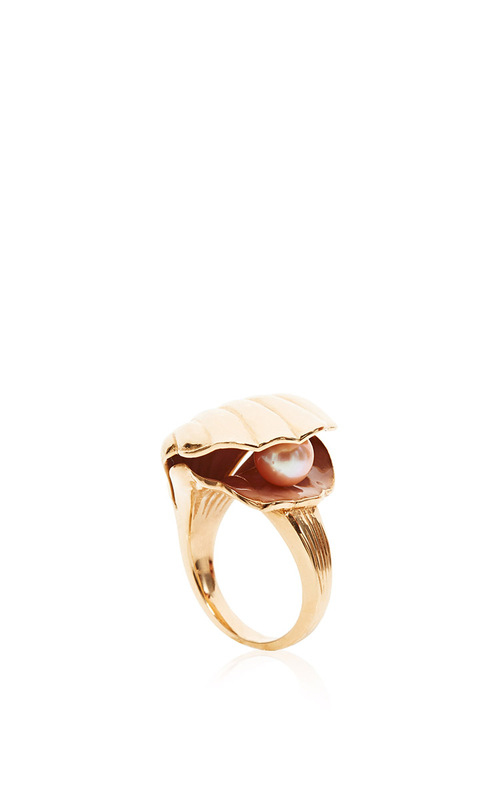 I’ve been in NYC all week and I bought the vintage zuni ring while in Brooklyn! Pearls are normally associated with royalty or a “lady-like” style. 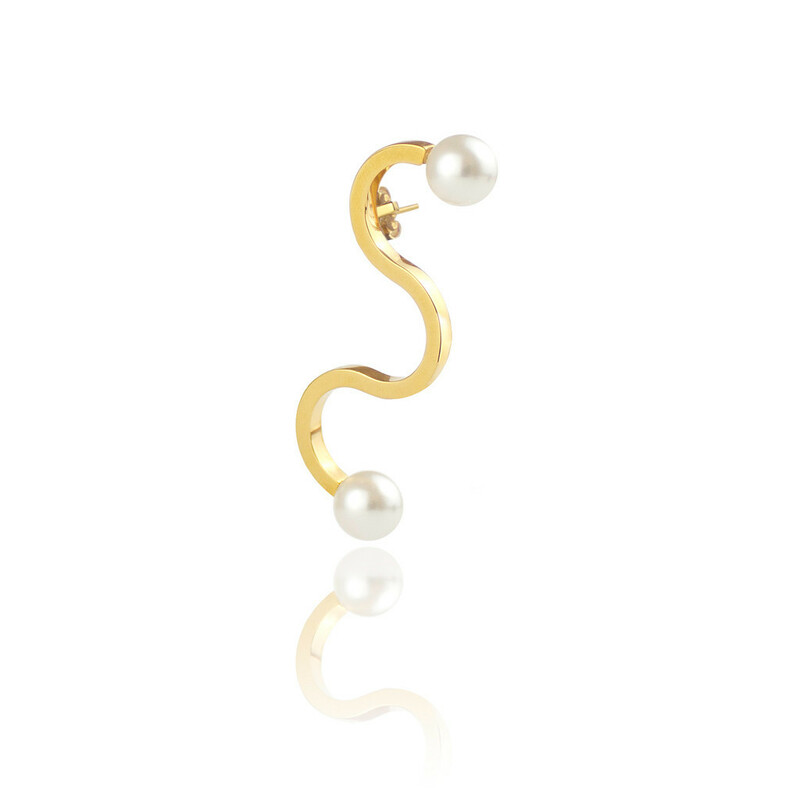 I think pearls are very feminine, but I also believe that pearls don’t fit anyone’s style like a diamond can. 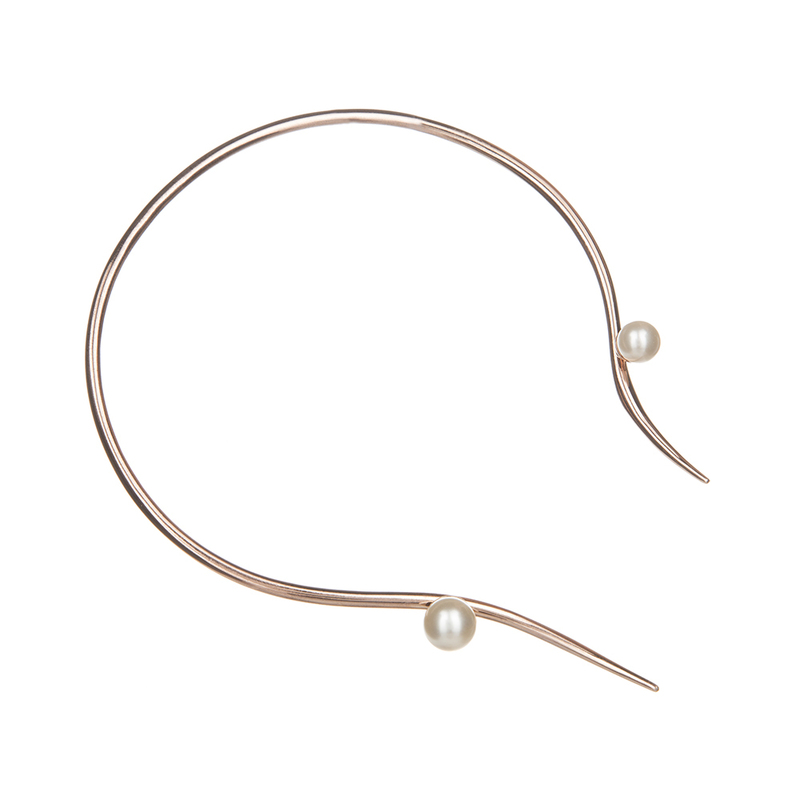 But with that being said a lot of new designers are doing a great job and making pieces with pearls that are modern and therefore can fit people who don’t necessarily dress or want to feel like Audrey Hepburn or Jackie O. 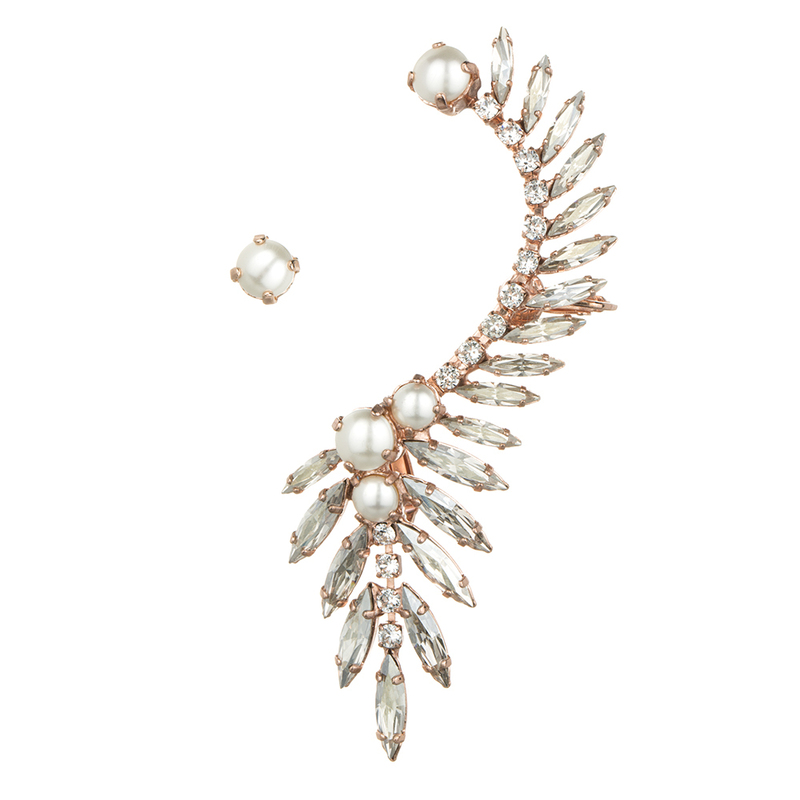 The following are pieces and designers who I believe work with pearls the best. The godmother of pearls is and forever will be Coco Chanel. Chanel knows how to work with pearls beautifully. They make traditional and modern pieces in both jewelry and clothes. 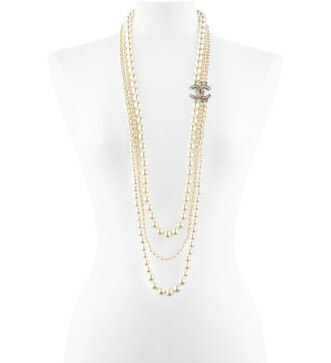 I love that they still keep true to Coco Chanel’s love for “your grandmother” pearls style necklace. I bought one of their long pearl chains with a faux diamond bow on the side and I like to wear it with everything, especially when I’m wearing something very plain and simple. For some reason I associate my necklace more with winter that with summer. 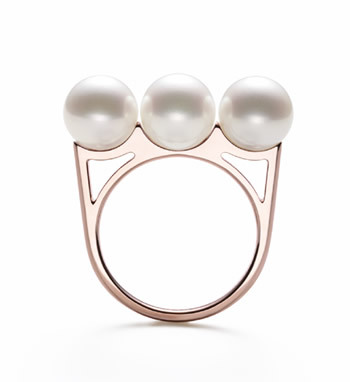 I think Tasaki is one of the most innovative pearl jewelry designers now a days. He is a Japanese designer with a lot of talent but unfortunately not as well known as he should be. He does a lot of fine jewelry but he has a few less expensive piece as well. I discovered him in a store in Miami where I bought one of his black pearl & black diamond ring from the “refined rebellion” collection (the bottom piece). One of my recent purchases was from the famous designer Alison Lou. 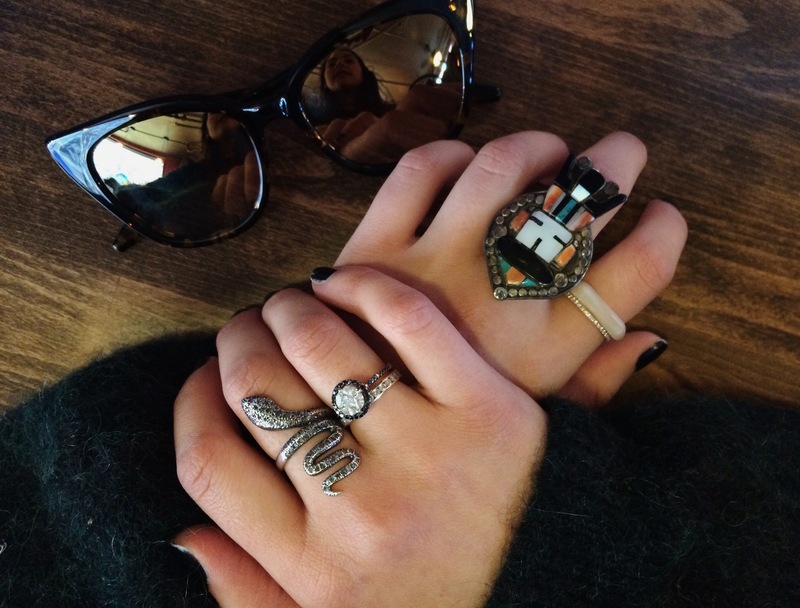 Her jewelry is very current and fun, she plays with emojis and other quirky items. 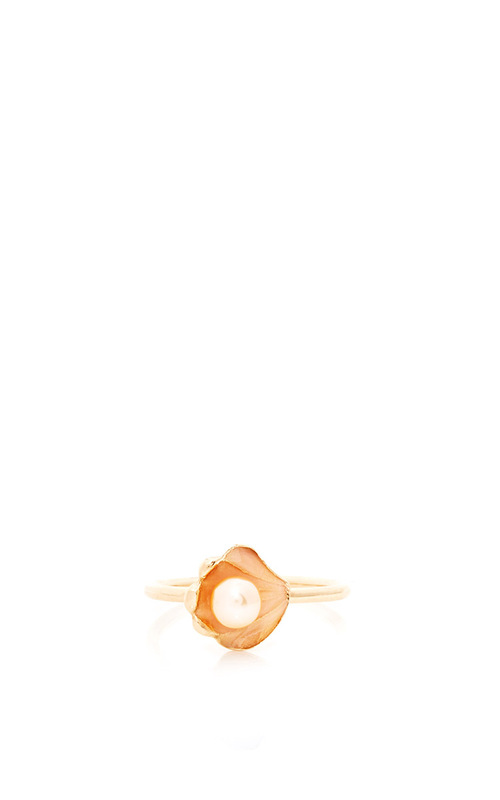 She is coming out with a beautiful, young and fun collection of oysters with pearls inside. My favorite piece of the collection is the stack ring which is the smallest with the thin band (the one on the far right). 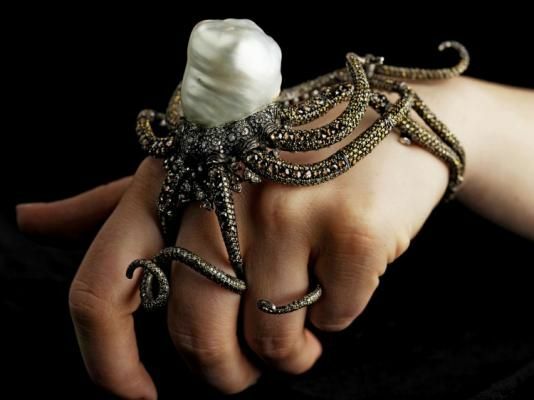 I find Ryan Storer’s jewelry very esthetically beautiful. Very simple and modern. 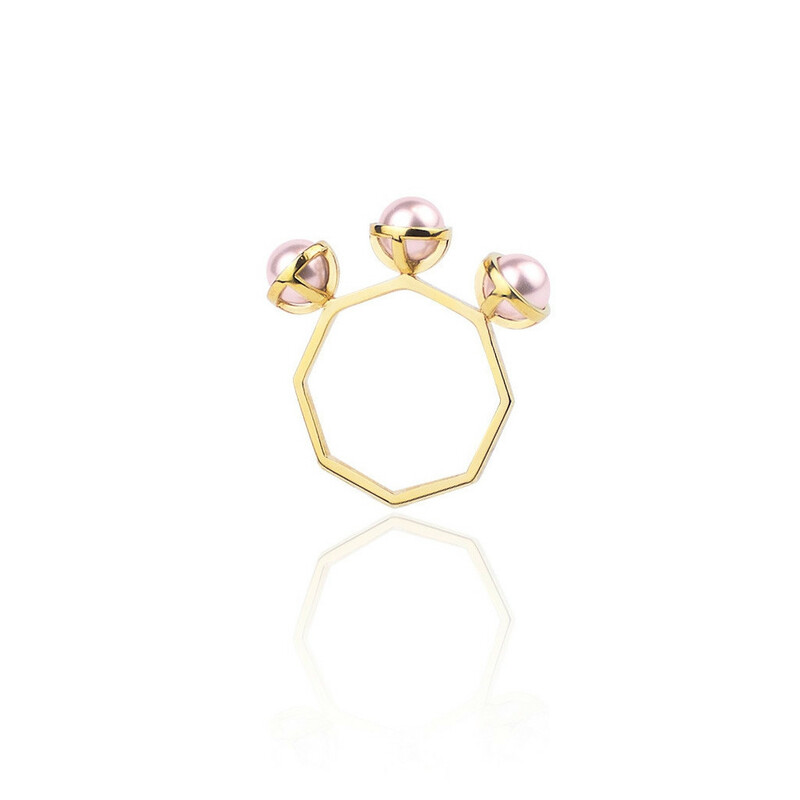 Reminds me a bit of Tasaki’s play with pearls, yet you can see the difference. I really love his jewelry and I hope I can buy a piece from him in the near future. 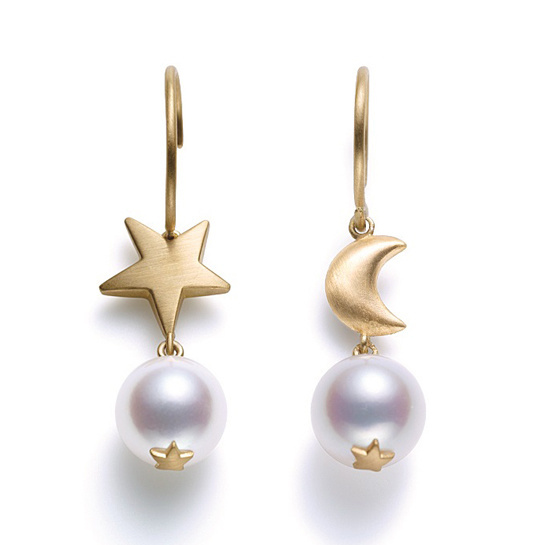 Mizuki is another Japanese designer who does fine jewelry. 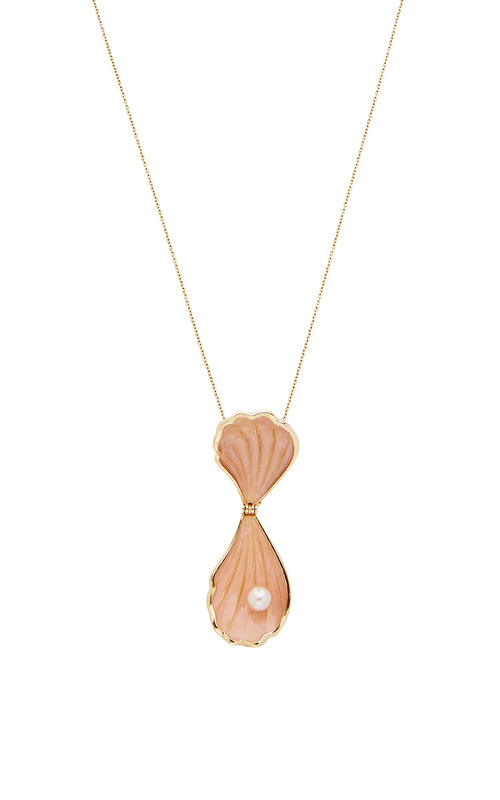 Her pieces are beautiful, but the “Sea of Beauty” collection where she works with pearls is just breathtaking. What I love about her pieces is how in the bracelets she leaves the pearl as it is, imperfect. I also love how she pairs the pearls with very thin diamonds and a ver thin gold bracelet, the balance in the pieces is what makes them so beautiful. 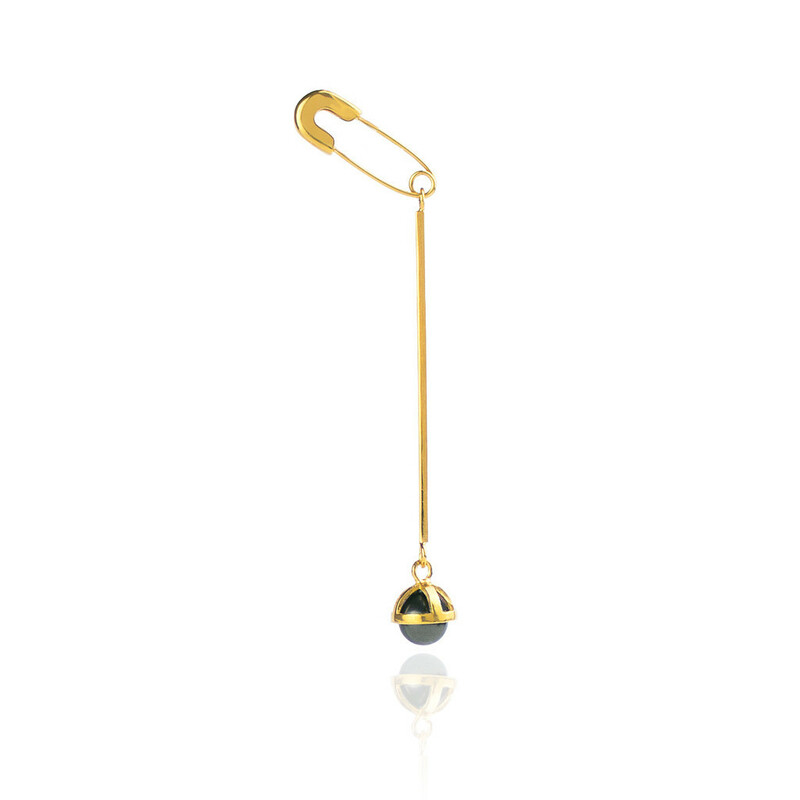 Smith/Grey does very playful and young jewelry. 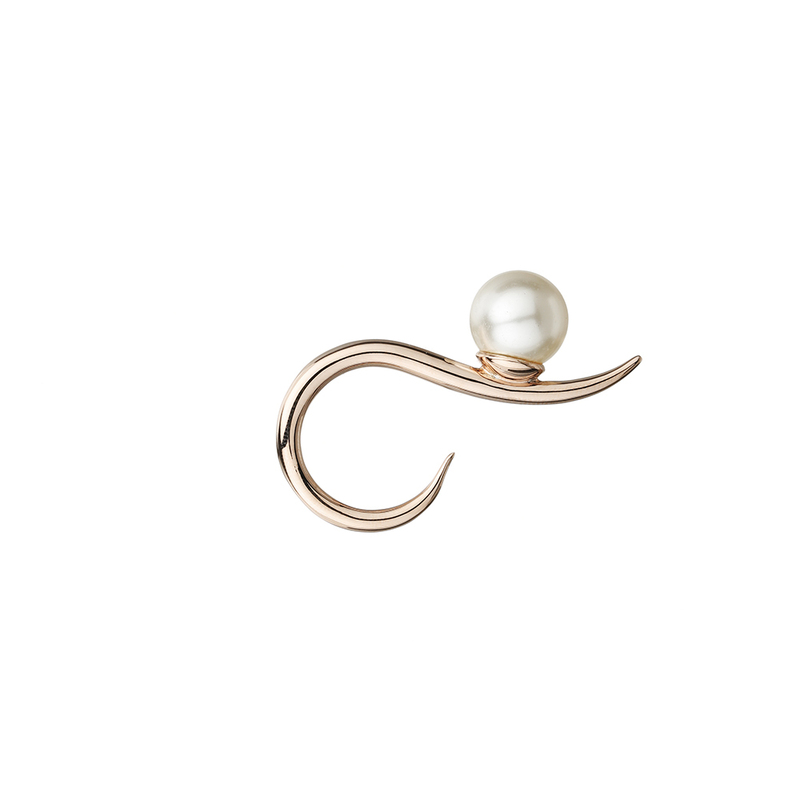 The name of the pearl collection fits the fun in the pearl jewelry pieces, it is called “THE PEARLGATORY”.